Home > Supplements Overview > What is a Health Supplement? Also known as food, nutritional or dietary supplements, health supplements are special concoctions put together to make up for what we lack, or perceive to lack, in our daily diet. Whether we are short on amino or fatty acids, specific vitamins or fatty acids, supplements exist, at least in theory, to make us healthier. What Is In a Supplement? While the definition of nutritional supplements is not entirely clear in the UK, the US FDA (Food and Drug Administration) has very clear guidelines. It says that these type of supplements must contain at least one of the following: vitamins, herbs, minerals, amino acids, special substances such as tissues from glands or organs designed to increase dietary intake; and a metabolite, concentrate, constituent or extract. In other words, they are natural as opposed to synthetic, and are designed to make us perform better or be healthier. What is the History Behind Supplements? Supplements, whether in the form of vitamins and minerals, caffeine or special amino acids, have been used by humans to increase their performance and better their health for centuries. Medieval physicians once prescribed eating human hearts to become braver, and even today some people eat monkey brains to increase their intelligence. 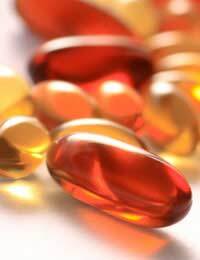 Supplements today are available widely and freely, in health food stores, pharmacies, online and by mail order. But when their use outweighs a balanced nutritional programme, the result can be lethal and even fatal. Similarly, some herbal supplements can contain substances that have been banned because of their poor safety record. Are the Sale of Supplements Restricted At All? Some nations classify supplements as drugs while others prefer to call them food. In many countries, noticeably the European Union, strict regulations exist that make only safe supplements available without a prescription. That's because while some are safe if taken in small doses, they can be lethal in larger ones – noticeably, vitamin A. However, the UK has been the leader in voicing its discontent about such regulations, saying they restrict consumer choice. As a result, only supplements that are synthetically produced have restrictions on them. So read the fine print carefully - just because a substance is "natural" does not mean it's safe! While many of us take vitamins on a daily basis, the best person to ask in this case is your GP. He or she should know your medical background and history, and can do tests to determine whether a specific supplement could really be of benefit to you. If you are a vegan or vegetarian your diet may be lacking in specific nutrients, but eating certain foods can often make up for that lack. If you are considering taking a supplement such as natural mood enhancer like St John's Wort or Evening Primrose Oil, which can help relieve symptoms associated with the menstrual cycle, it's a good idea to ask your GP first. Some supplements can interfere with prescription medications as well, so it's best to discuss this with a health professional before deciding to take them. Supplements can be a safe part of a healthy, balanced diet, if taken correctly in proper amounts with the full knowledge of a medical professional. They should not, however, be taken in place of a good diet, nor should they be taken if you are taking specific prescribed medications. They also not not be looked upon as “wonder drugs” that can radically improve your health or sports performance. In most cases, eating right – tied in with exercising sensibly, getting plenty of sleep and drinking enough water, should be all that you need.